Before I embark on this one sided discussion let me do a disclaimer. I am not trying to send you into communication overload with these articles and messages. 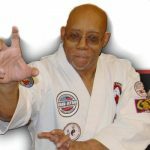 Having dedicated well over half a century into the study and teaching at the martial arts two things have occurred that have caused this prolific outpouring. 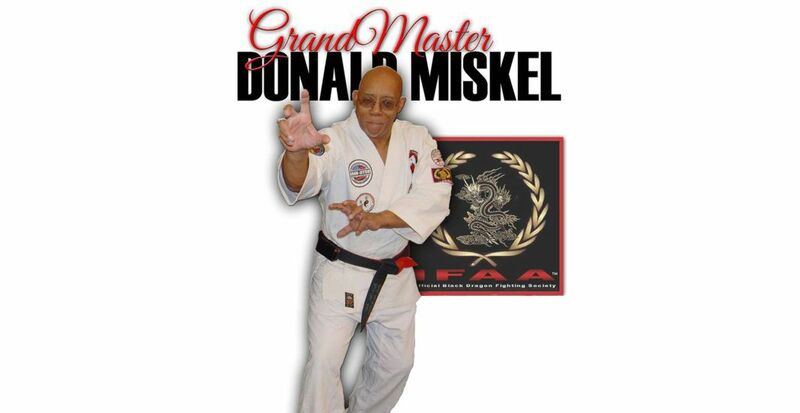 I have been elevated to the rarified position of Grandmaster by my peers and I have suffered the backlash effect of all of my years of training. Consequently I spend more time contemplating various aspects of the martial arts than teaching and training. Please don’t get me wrong. Like many of you I am a martial art fanatic and literally breathe martial arts. I still train and to a lesser degree I still teach. I just spend more time pontificating. I probably think too much. Too much time on my hands. I have one more article in the hole so I beg your patience. Please bear with the rambling of an old man and I promise to (try to) put myself on article restriction. What I would like to discuss today is the effect wing chun and jeet kune do has had on the martial arts and its pros and cons for the Japanese and Okinawa inspired martial artist. In the two afore mentioned arts a strong hand forward approach is advocated. This is what a right handed practitioner would call a south paw or unorthodox stance. This type of approach advocates defending with the rear hand and countering or attacking with the forward weapons. This would include kicks as well as strikes. Karate and its associated arts along with European boxing advocate the strong hand back approach. Both have their advantages and disadvantages. Wing chun and jeet kune do tend to lean toward blitzing attacks. Karate in its purest form is a power system and adapts the one hit one kill philosophy. This isn’t as common an approach as in the past. Most karateka these days aren’t able to generate the power to affect that one strike capability but that is more because of the way karate is taught and practiced today than it does the capability of the art. Back in the day a karate fighter was generally unarmed. His only defense was the natural weapons of the human body. He honed these weapons to a lethal state by conditioning the striking surfaces and bone structure and by applying physically sound principles into their methodology. Karate and its resultant power is a marvel of physics. No hocus pocus; no prestidigitation. Just sound physics. With the proper training it’s possible to garner the kind of stopping power that old world karate was capable of. One must take into consideration that because they were often confronted by armed and skilled opponents in life and death struggles the karateka’s weapons had to be as deadly as the weapons they were confronted with. They seldom had more than one chance to affect a telling blow that incapacitated or destroyed the opposition. Imagine facing a skilled and battle tested samurai warrior in a life or death struggle. You wouldn’t want to get in a give and take jousting match. Every move had to count. More often than not you didn’t get more than one chance. Hence the one strike one kill philosophy. Boxing and kick boxing have changed what we know as karate today but karate wasn’t always as benign as it is now. It was practiced and executed with total commitment. There were no combinations or in between techniques. Every single technique was designed to maim or kill. Wing chun and the arts that were derived from it take the Blitz Krieg approach. The idea is to overwhelm the opponent’s defenses and to overload his central nervous system with a strategic combination of strikes. I may be over simplifying but that is basically the approach taken. The forward hand offers the fastest access to the target. Since a one strike kill isn’t attempted the initial strike doesn’t have to have the power of karate’s gyaku zuki or reverse punch. The karate practitioner often had to face an opponent who was outfitted with armor and had to have weapons that would breach the barrier that it presented. His hands had to be able to crash through such obstructions. This required conditioned hands and the power that the reverse punch offered. Wing chung because of its necessity for speed uses high stances. Karate on the other hand is (or was) a counter punching system. A karat fighter would redirect the force of the opponents attack with a devastating and often incapacitating block and position himself into an advantageous position that allowed him access to the opponent’s most vulnerable targets while offering the least access to his own. This is called tai sabaki. From that position a finishing technique was implemented, hopefully to the opponent’s detriment. Usually only one step was taken in the process. No bouncing on the toes. No stick and move. No shuffling in and out. Just one devastating technique that more often not ended the fight. Various martial arts developed to address the needs of a particular person or group of people. It addressed the challenges that he or they would be met with. There was nothing esoteric or artistic about fighting. It was as direct and deadly as possible. How cute you looked during the process didn’t enter into the equation. The effectiveness of a particular art determined its efficiency. It either worked or it didn’t. If it didn’t most combatants didn’t have opportunity to go back and correct their technique. Not unless it was in their next incarnation. Okay, no theological backlash on that statement. I’m trying to use a bad sense of humor to illustrate a point. In real combat your system and your personal ability either worked or you were sent to meet your maker. In other words you were rendered stone cold dead. I believe that the martial art that one studies should not only be based on availability and body type (though they weigh in heavily in the equation) but on what the art will be used for. I have nothing against the various arts that are represented by the martial art community. Each is beautiful in its own right. I believe that an art should be chosen and practiced in its pure form. If it isn’t broke don’t fix it and if it is broke find another art. What I am saying is that by trying to incorporate the principles of another art into your own you often come up with a system that hasn’t the effectiveness of either art. One is oil. The other is water. Just because both are effective alone doesn’t mean that a compilation of the two will be better. On the other hand if one is lacking mixing them often causes more problems than it solves. I like wing chun and I admire the thought that has gone into the creation of jeet kune do but I realize that they aren’t karate and they don’t particularly mix well with karate. I have had opportunity to delve into the study of both wing chun and jeet kune do and I admire both. I just recognize myself as basically a karate ka and I don’t try to mix the oil and water aspects of those arts. I’m not proclaiming one art better than the other though I have full confidence in my karate. It has proved itself in some rather serious situations and I believe in it’s effectiveness. In effect I’ve learned to put my best foot forward and to stay in my lane. Mixed metaphors, yes, but you get my meaning. Train in the art that is best for you and that best serve your purpose. If it works stay with it. If it doesn’t work for you you would probably do better finding another art than trying to recreate the wheel by mixing arts that don’t complement each other. Train hard, my brethren and go with God.